Flooring is undoubtedly one of the important aspects of remodeling your home that you need to worry about. Floors can enhance the look of a space as well as increase home value. However, when it comes to changing floors, it can be quite a hassle for homeowners. For one, there are many types of flooring available these days, making it difficult to decide, and secondly, each flooring options has its own pros and cons that you have to weigh against what suits you best. As you go out to explore your flooring options in the market or do a bit of online research, you’ll find out the pros and cons of the different kinds of flooring available easily. However, what is more important than that is to set your needs straight first. Once you’ve put your finger on precisely why you’re getting the flooring changed, the choice will come much easier. 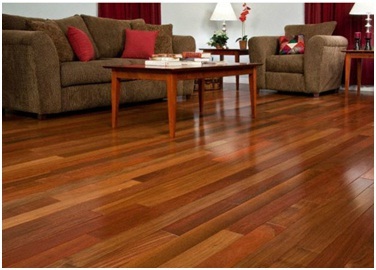 For example, if you are interested in changing the floors of your living and formal sitting areas, you would want a sophisticated and warm look, which can be achieved with hardwood flooring. On the other hand, if you’re on a budget but still want a hardwood look because it also looks cleaner, you can opt for laminate floors that give the same look but are much cheaper. Your needs can dictate the kind of flooring you should install. Once you’re clear about your needs, we suggest the next thing you should get out of the way is the cost. Flooring is available in a wide range of options and the one best suited to your needs might be costly. Once you know how far you can stretch your finances for new flooring, flooring experts will be able to guide you accordingly making sure your cost is aligned with your needs. You might like a certain kind of flooring but find it is way out of your budget – shop in the segment you know you can afford to avoid such disappointments. Lastly and finally, we have come to the point where you can now make a choice. You can choose to have different kinds of flooring in different rooms depending on your criteria, or you can differentiate by indoor/outdoor flooring. Some people prefer to install tiles only in bathrooms, while others like it in the rest of the space also. You can also make your choice according to whether you would like some design on your floors or you like them plain. For green flooring options, consider installing linoleum floors; concrete flooring is another hot trend these days. For professional flooring services, advice, and home remodeling in the Missouri area, request your consultation today with Joshua Deatherage Builders by calling (417) 204-4949.